They say everything is bigger in Texas and I can assure you that is true of the hearts of the women I met this past weekend. We were a little concerned as we left for the conference in Midland because the temperature was dropping fast and Midland ended up with four inches of snow on Thursday! Can you believe it? We were afraid the weather might deter some of our volunteers, but not at all! These tough Texas sisters battled the weather and made it to the church with joy, excitement, and anticipation of what was in store. When we first met Cindy Payton, who became the FGF Midland Local Conference Coordinator, she said Midland didn’t have the prettiest landscape, but had the BEST people. She was ABSOLUTELY correct! I have never seen such servants. They showed up early and stayed late. We were blessed to serve alongside them. Their love for the Lord was shown by all they said and did. The weather for the actual conference was sunny and warm which melted the snow and provided safe travel for all of the women attending. Thank you, Lord! I, and our whole FGF team, want to sincerely thank our host church, Stonegate Fellowship, for their hospitality. We also want to thank the other 9 co-host churches that worked tirelessly to bring Fresh Grounded Faith to Midland. I just love those women I got to hang out with! 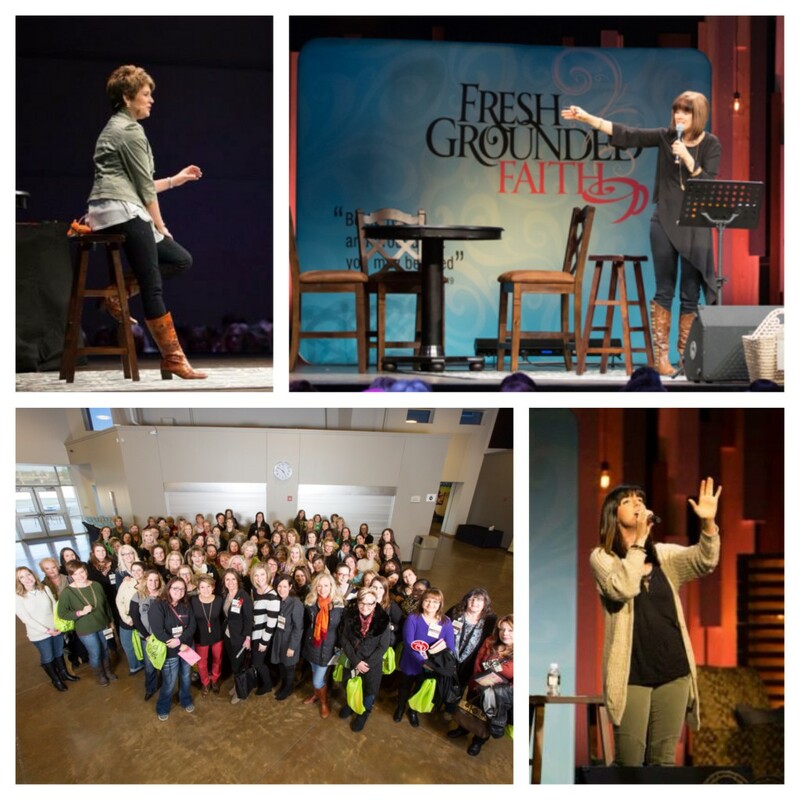 It was a sold out event with over 1,300 women registered! Ann Voskamp shared her love and inspiration with us. My favorite quote from her message was something like, “If you let anyone steal your joy, you let them steal your strength!” Preach it, Ann! And, Meredith Andrews brought heaven down with her praise and worship. Could we be any more blessed? The Lord was present at this weekend’s event and I just have to share with you some of the work He did. 75 women chose to renew their commitment to Christ and nine wonderful women became our new sisters in Christ! Hallelujah! Thank you, Jesus! And, those Texas women, who don’t do anything small, sponsored 210 children through Compassion International. That’s 210 precious souls who are now rescued from poverty in Jesus’ name! I’m just gonna say, my cup of Fresh Grounded Faith is full and running over!! Question: Did you attend Fresh Grounded Faith Midland? What was your favorite part of the weekend?